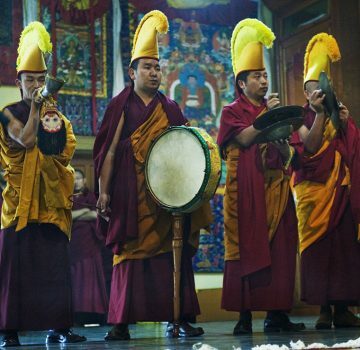 This was one of the most incredible things I have witnessed. 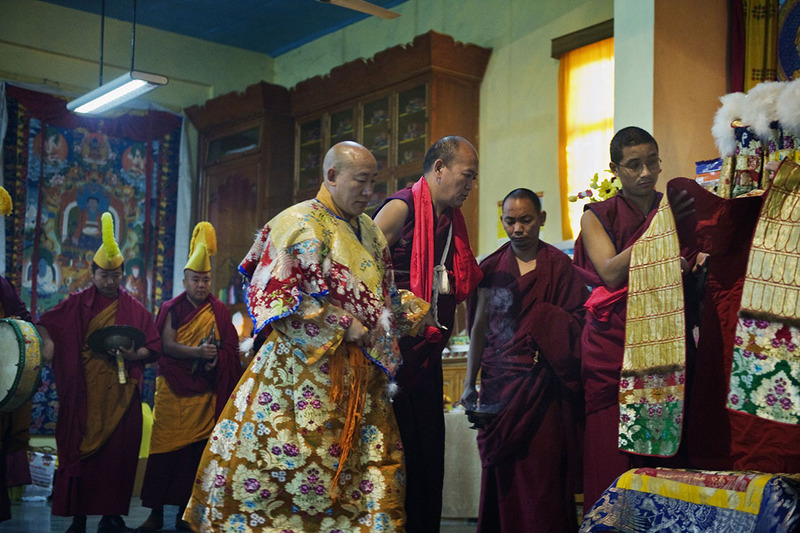 The Nechung Oracle is consulted by both government and monastic bodies before most major decisions are taken. 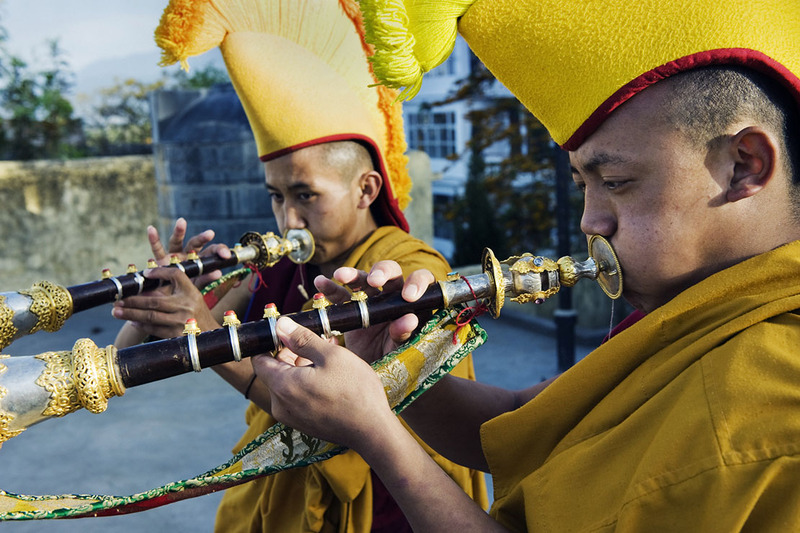 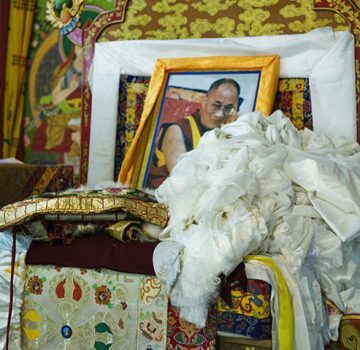 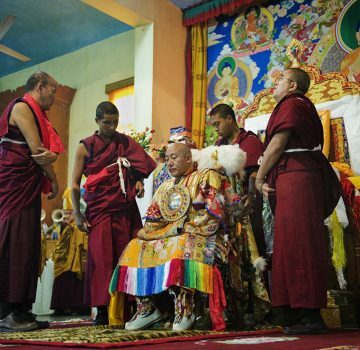 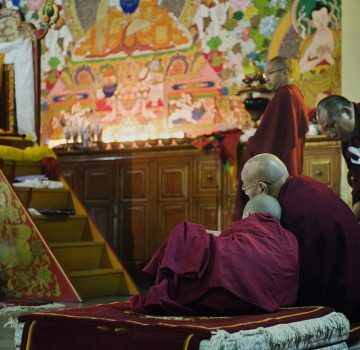 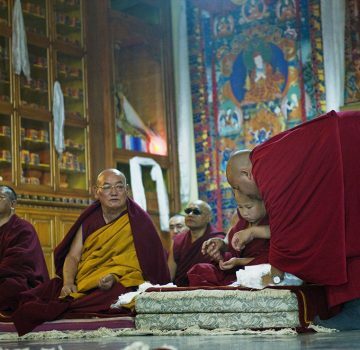 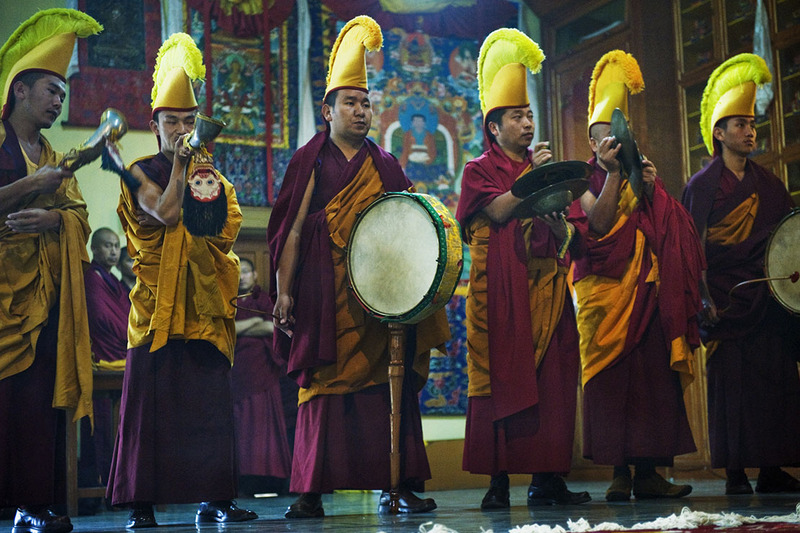 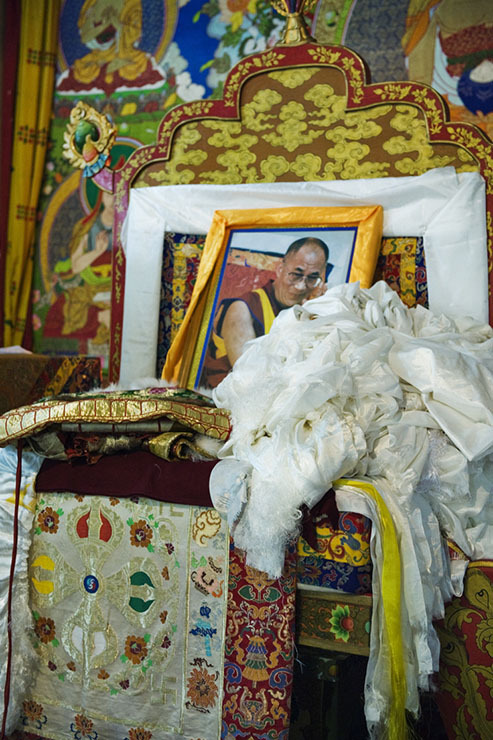 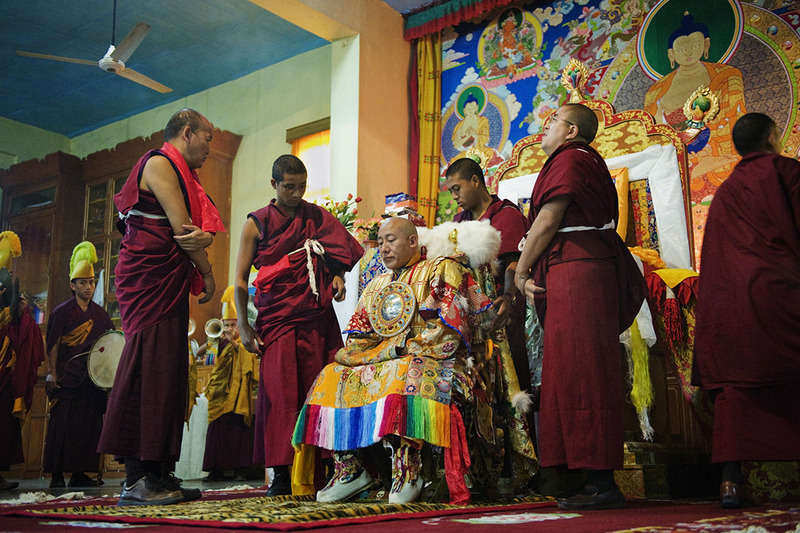 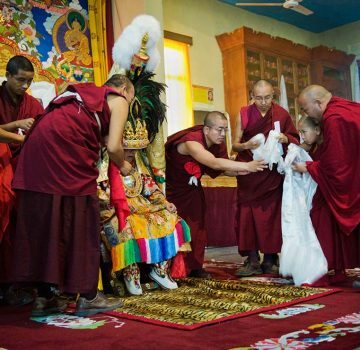 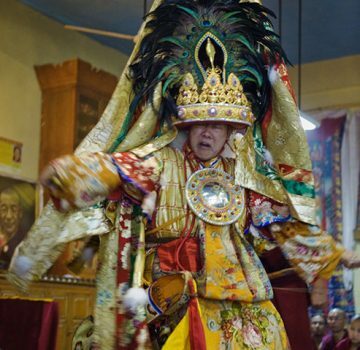 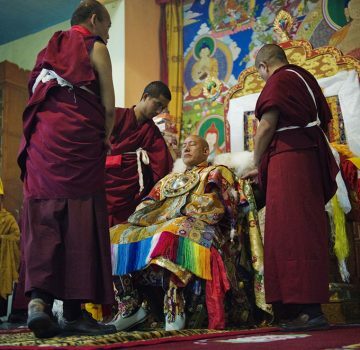 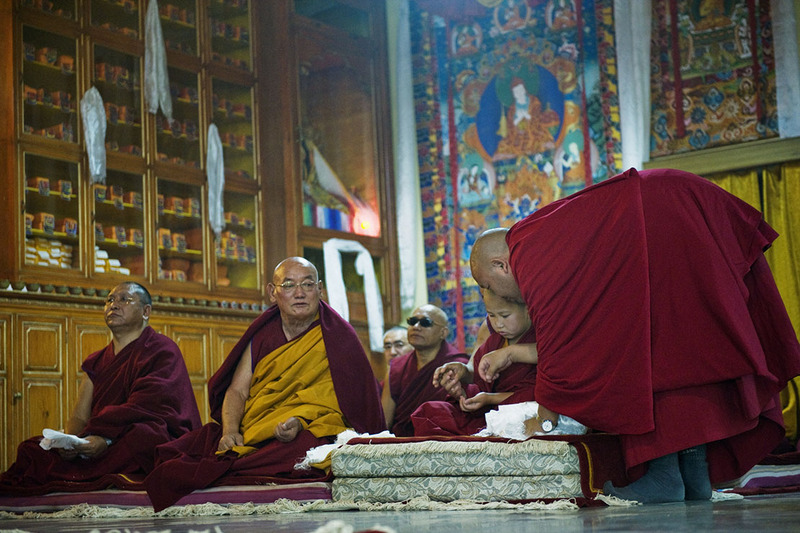 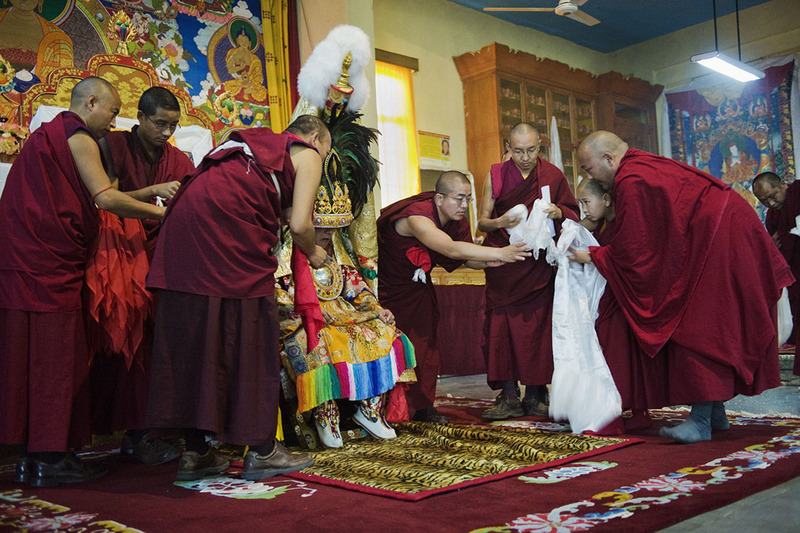 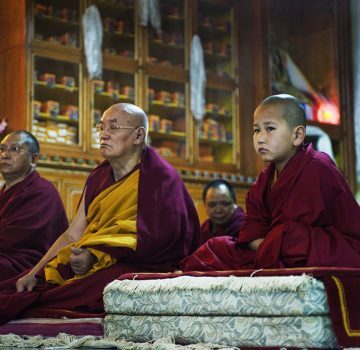 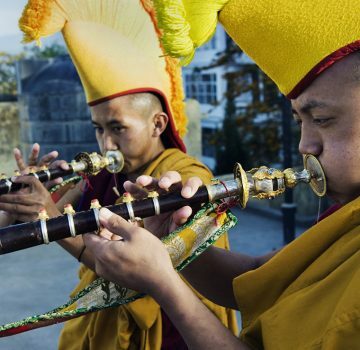 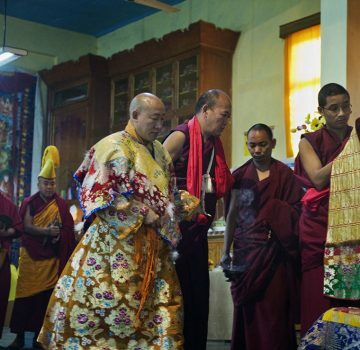 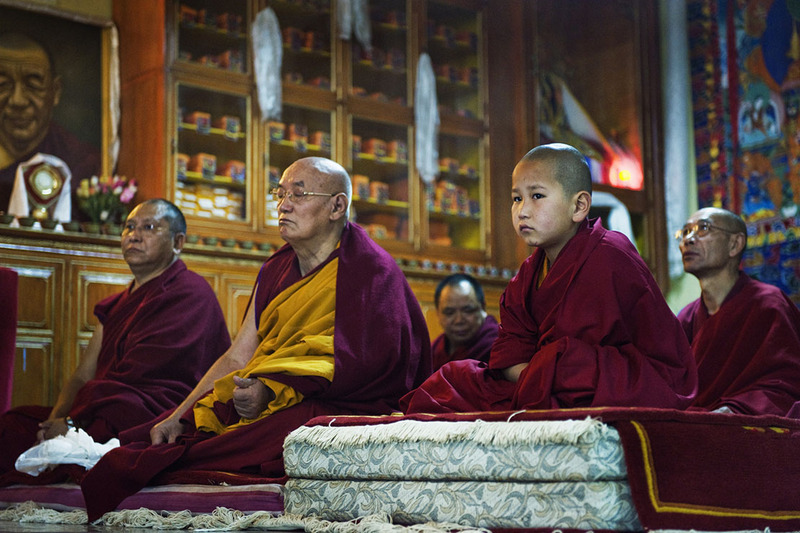 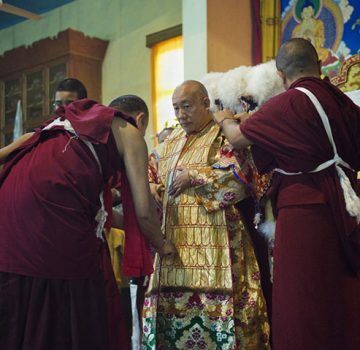 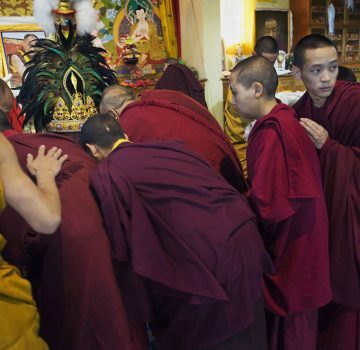 He is the official oracle of the Tibetan government and consulted by the Dalai Lama. 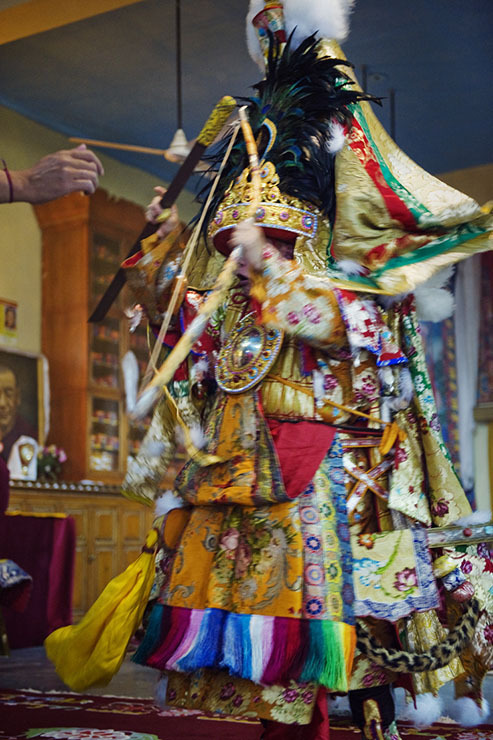 The oracle comes into the room as a regular person. 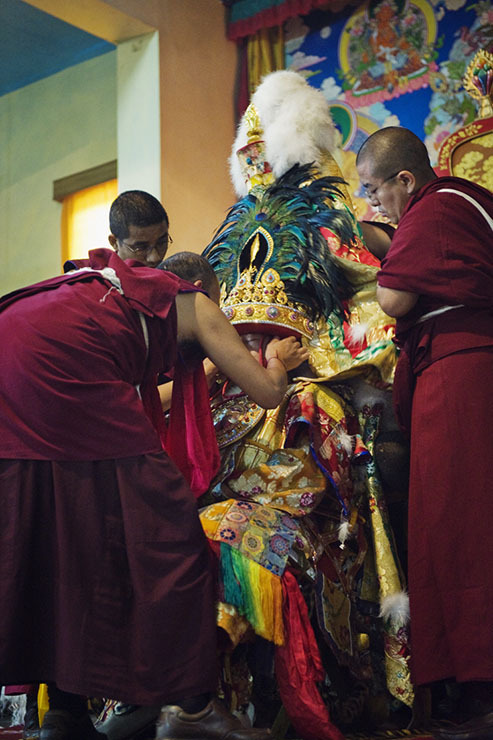 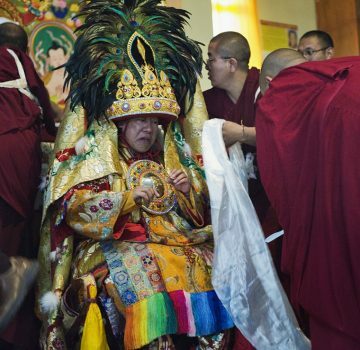 He is placed into special robes with a head piece which weighs over 60kg and has to be lowered onto him by 2 assistants. 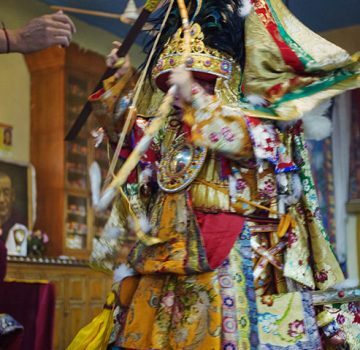 He goes into a trance and is possessed by a spirit. 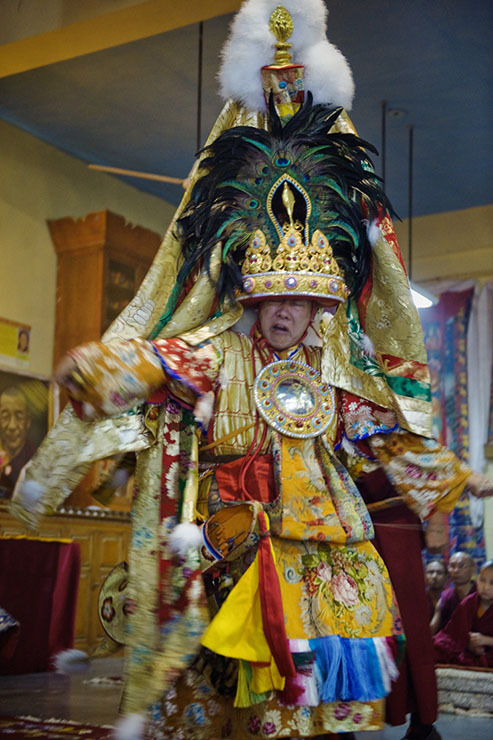 While in this trance, he dances around the room, leaping into the air, his face transformed into a grotesque mask. 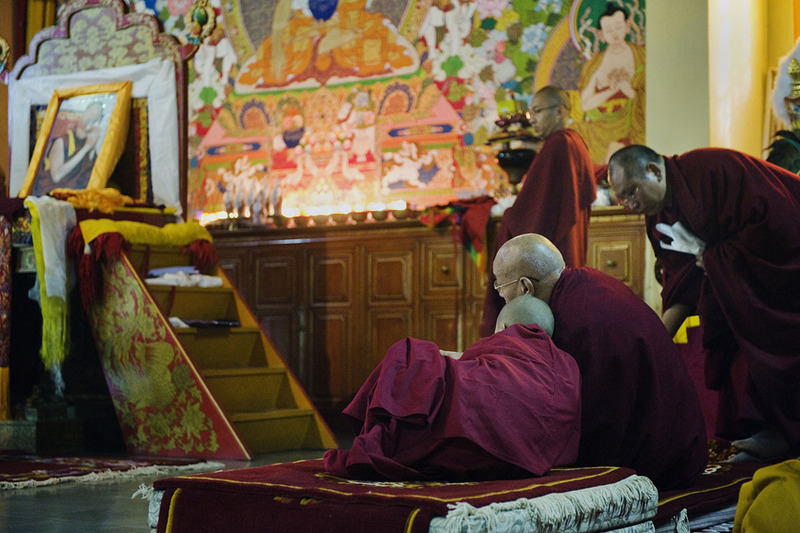 Questions are put to him which he answers. 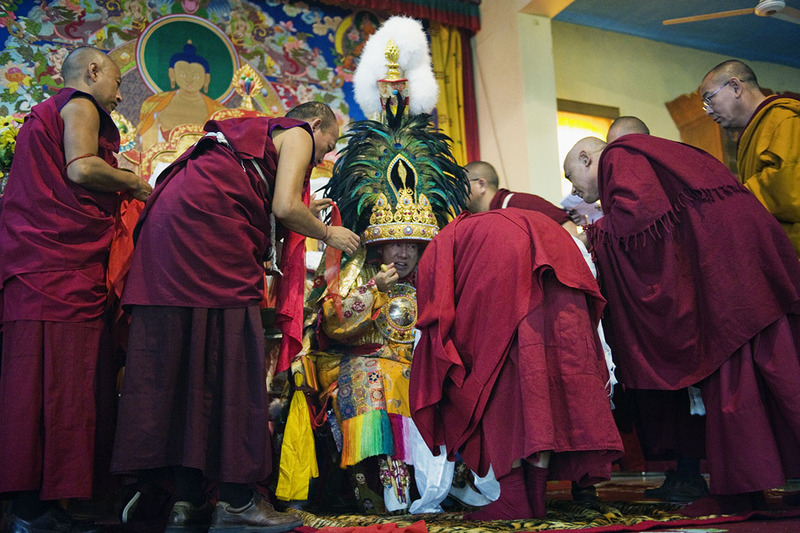 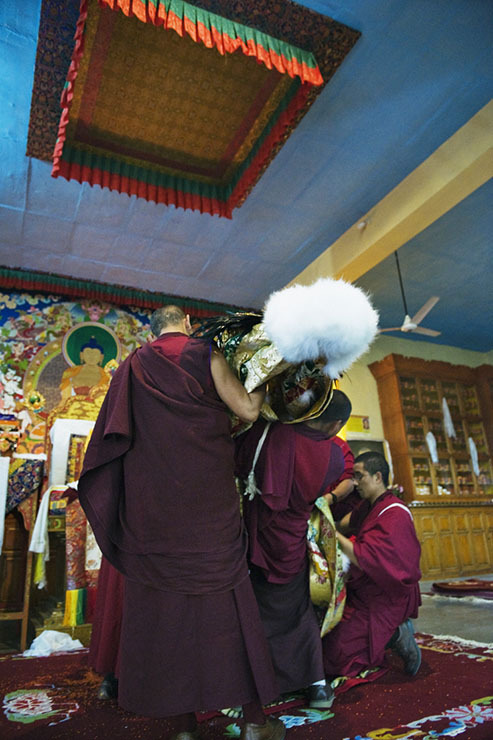 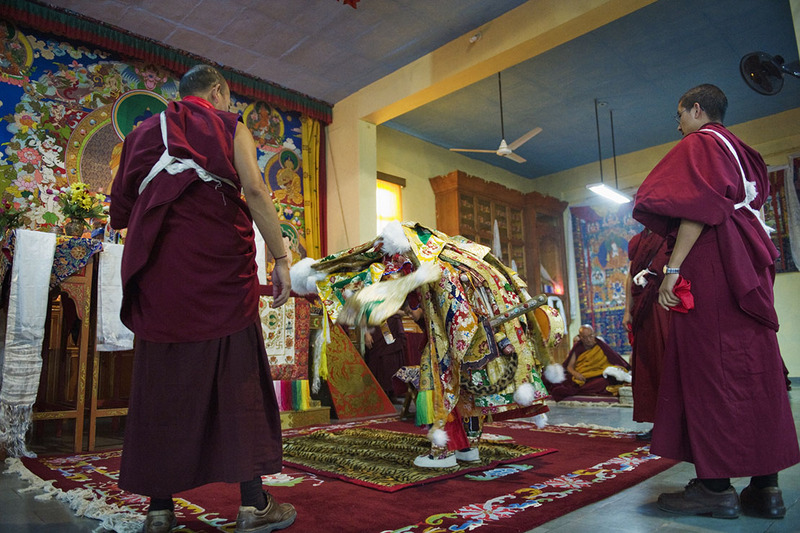 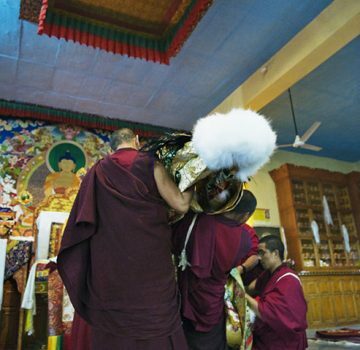 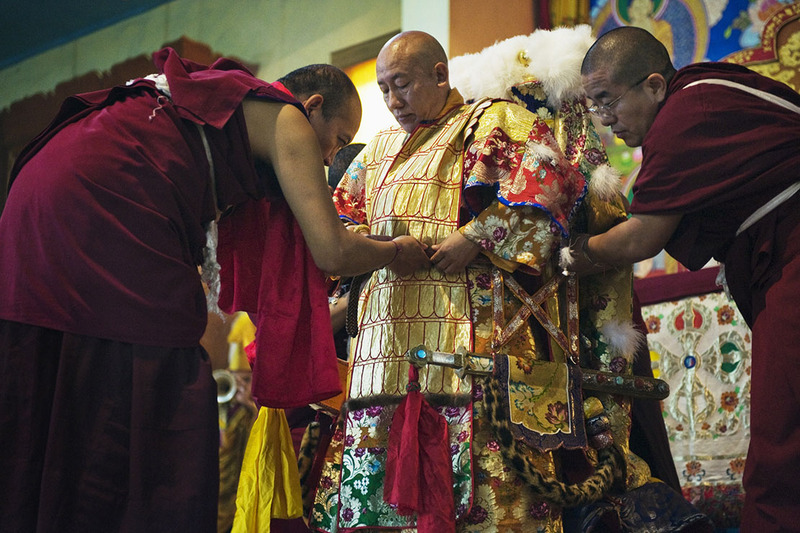 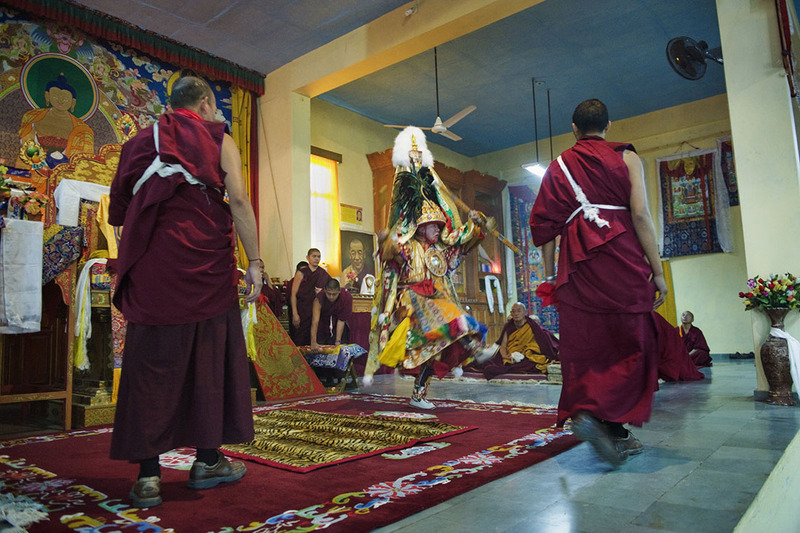 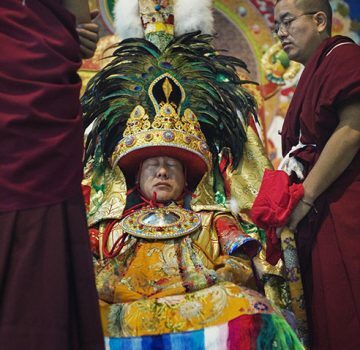 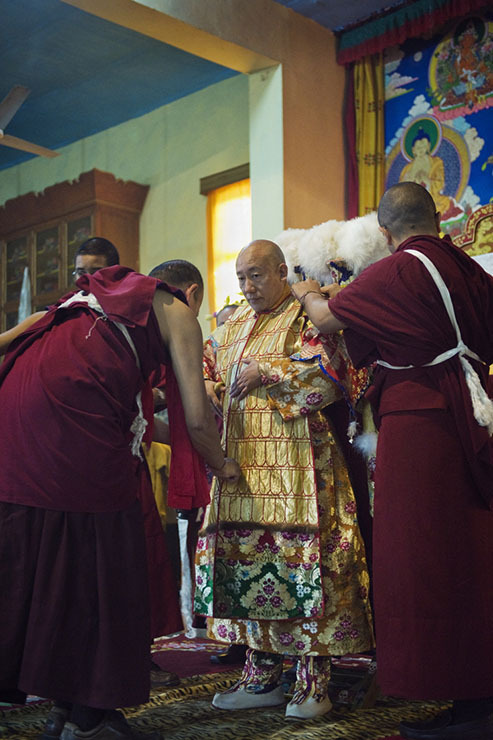 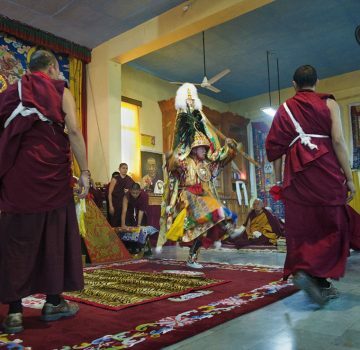 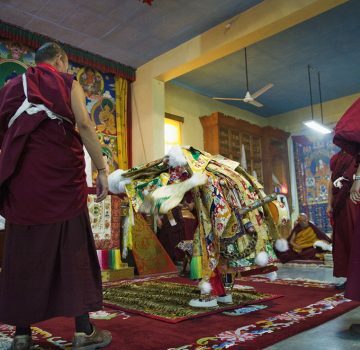 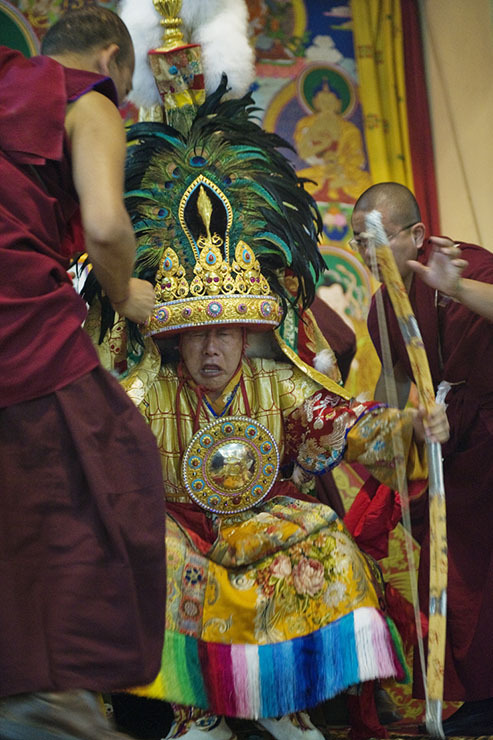 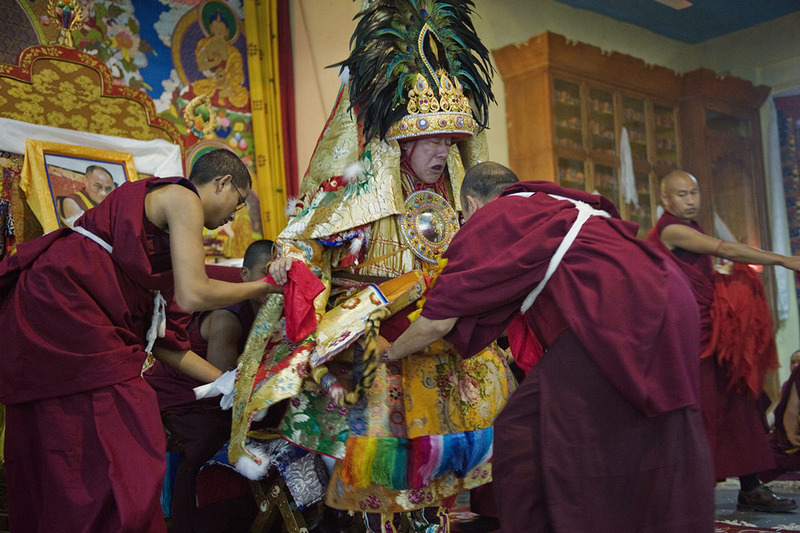 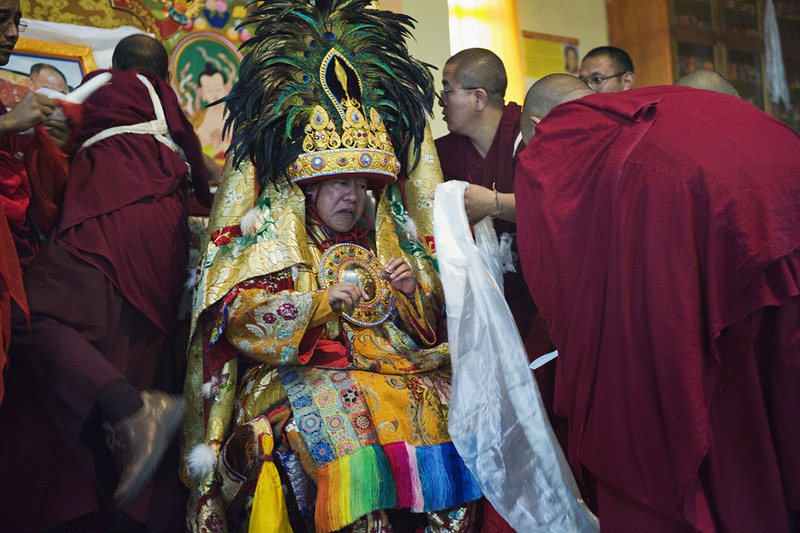 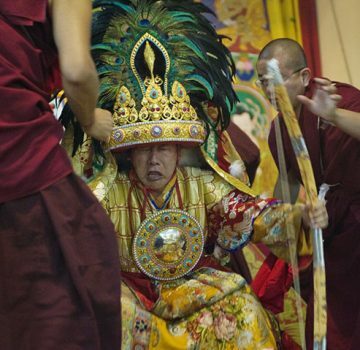 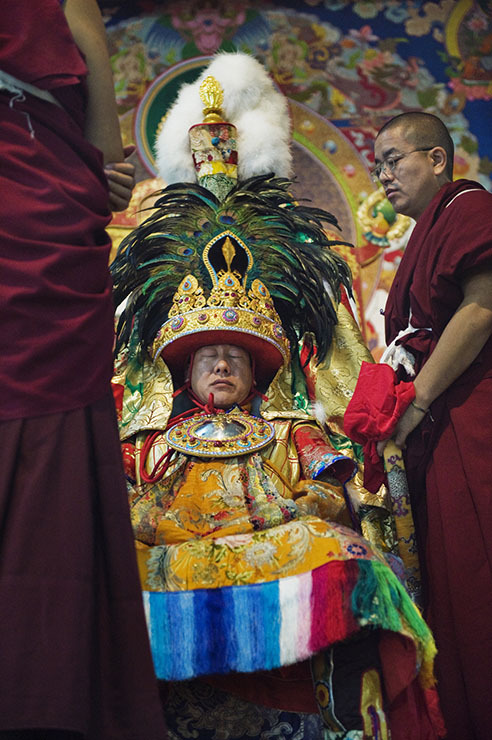 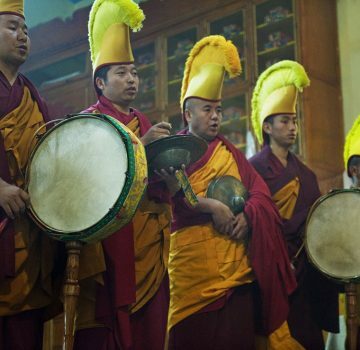 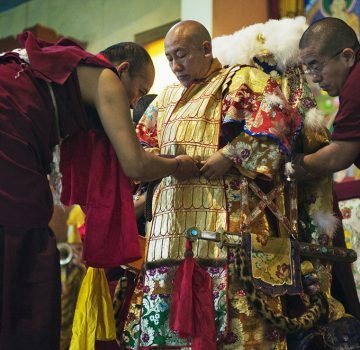 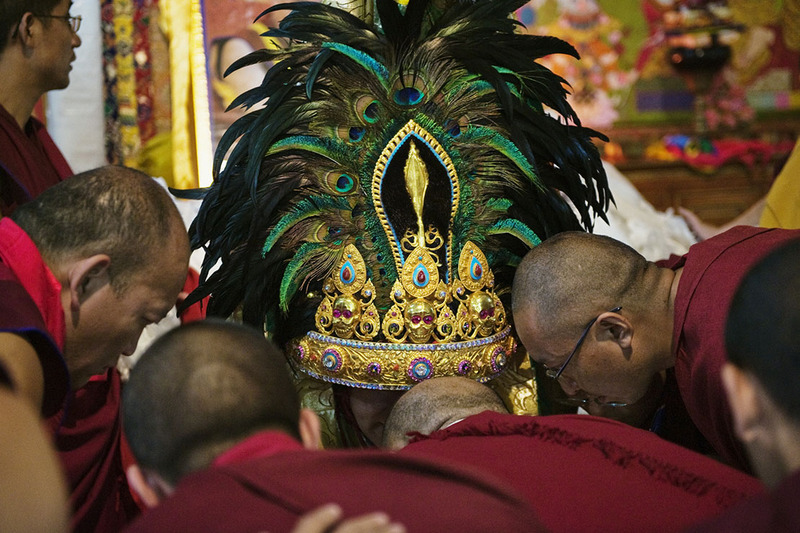 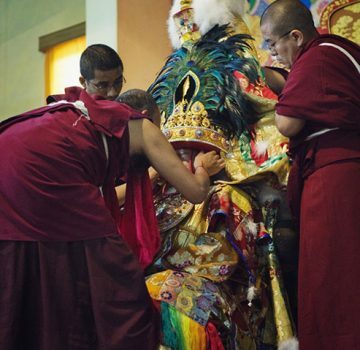 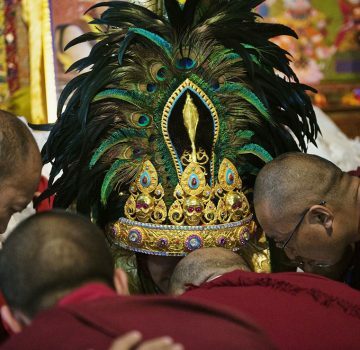 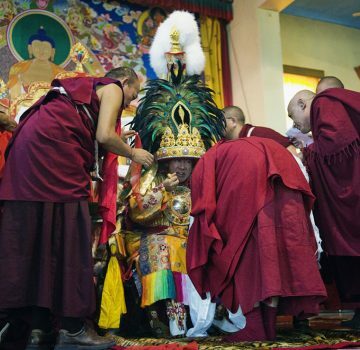 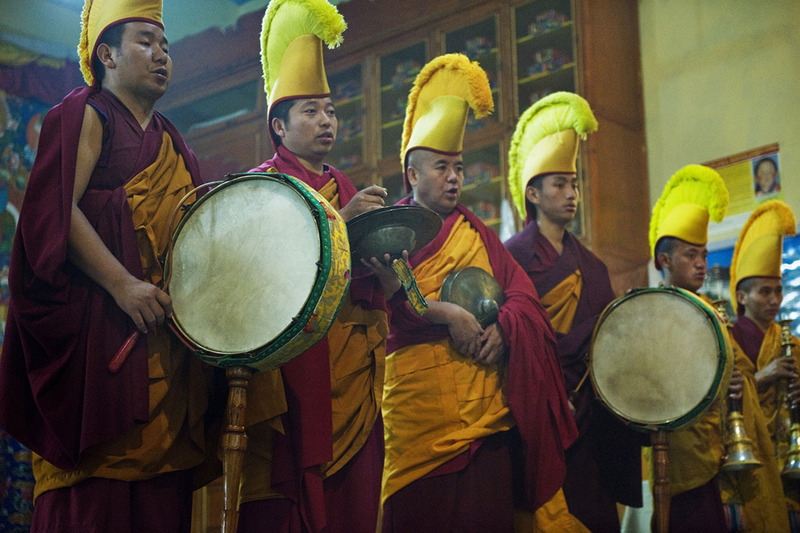 Towards the end of the ceremony, as he collapses in exhaustion, the hovering attendants need to be very close to grab his headpiece as there is a risk that the weight of it could snap his neck.